First up, it will have a new song titled ToP!!!!!!!!!!!!! (with 13 exclamation marks, one for each idol) with yura lyrics and Satou Takafumi composition. 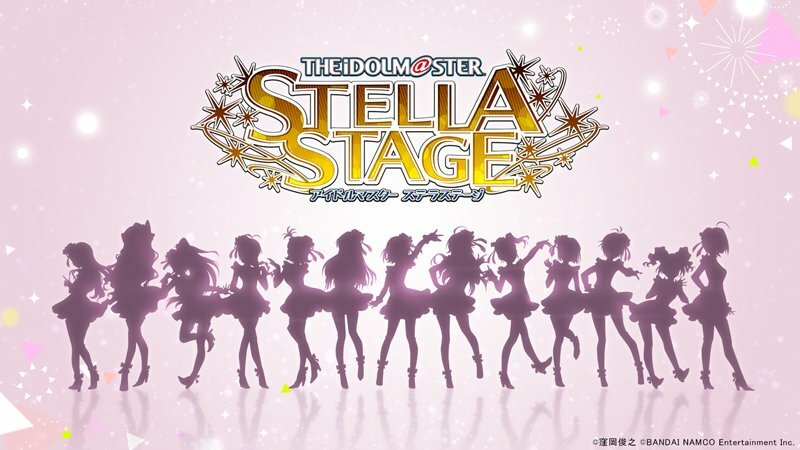 This time around, the theme revolves around the Stella Stage in the title. Stella Stage itself is a massive scale stage that was thought up by President Takagi from 765 Pro and President Kuroi from 961 Pro, but due to their differences, it never happened. Now, your goal as the Producer is to help the 13 765 Pro idols to reach that goal and become Legend Idols! This time around, a new idol from 961 Pro will also appear. Details on her will be revealed later. Oh in Stella Stage, Yayoi’s dad is now a permanent employee so she’s no longer poor. The game itself is slated for sale from 21 December 2017, and preorders will start on 20 September 2017. Similar to the older games, each store will have different preorder bonuses, so do check them out. There will be a limited edition and a normal version of Stella Stage. Limited Edition costs 12,980 JPY before tax, and it will contain a music magazine featuring 765 Pro, a drama CD, a calendar, a company badge, a neck strap, the game and codes for an original coloured outfit in addition to a PS4 theme. The normal version costs 8,200 JPY before tax, and a download version will also be available. You can get a special hand accessory by purchasing the download version of the game! If you purchase the game before 17 January 2018, you’ll also get an outfit called the Platinum Memory from P Meeting and a PS4 theme! If you purchased DLCs for Platinum Stars, they will also be carried over to Stella Stage, and details for it will be announced later. There’s also going to be a stage event for TGS featuring Nakamura Eriko, Imai Asami, Shimoda Asami, Abe Rika, Hirayama Emi and Ogasawara Saki on 23 September 2017 from 14:00~15:00, and they will talk about Theater Days in addition to Stella Stage. We also got a picture from the special bonus disc for Producer Meeting! It’s currently up for preorder! General sales for the LV tickets for Hotchpotch will also be up for sales from 30 September at 10:00 AM JST, and you can buy a maximum of 4 tickets per transaction. Previous PostMEG@TON VOICE! AnnouncementsNext PostHotchpotch Announcements!